Autoproanica / Carwash Selce / Crikvenica Hrvatska / Croatia. By Daniel Butković. Allong the Jadranska Magistrala (E65) between Crikvenica and Novi-Vinodolski. Franco is the owner of the copyright for this website. The web server with the IP-address 80.246.191.52 used by Carwash-selce.eu is owned by IS Group B.V. and is located in Group, Netherlands. 13 other websites are located on this web server. Most of them are provided in the english language. 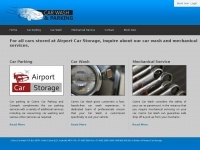 The websites of Carwash-selce.eu are served by a Apache server. Both the inclusion of the website in search engines and follwoing of its hyperlinks is explicitly allowed. Hranilica.com - Hranili­ca.com | tko dostavlja hra­nu? 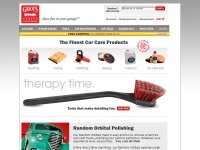 | dosta­va hra­ne ..
Solitum.hr - Apartma­ni Hrvats­ka, Besplat­no Og­lasa­van­je Apartma­na - ..
Griotsgarage.com - Car Care Pro­ducts, Detai­ling Supplies, Auto ..